We are language. Spindling threads between materialist science and religion. Spiraling tentacles of thought reaching for altered states of consciousness, grabbing at the extremities. Long stalks of seaweed and ocean plants carefully studying experiential inner phenomenon. We are language. Thoughts so nebulous, staring into a transcendent cognitive eternity, into the ontological nature of life itself. Clouds like scattered rain showers, a world of increasing complexity. Piles and piles of hay Stacked for the summer, language wrapped in little papers such books hold all the answers, answers transformed by time, sunshine and darkness because they’re not real. They can't be. Backwards a record spins through our entire time stream. The supreme powers of binary thought hold the secrets still the same. Different brains spindling thoughts through some daemonic urge. Spiraling through the darkness embedded in the linguistic infrastructure. 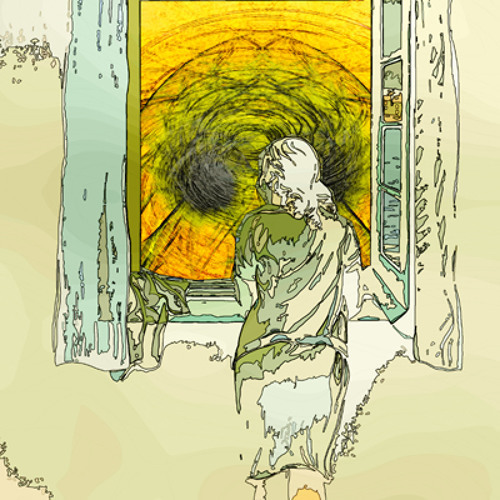 Come towards my open window, change reality from within break mutate expand.